Used with 3M™ Air-Mate™ and Breathe Easy™ Powered Air Purifying Respirator (PAPR) Systems. This is a lightweight head cover that provides protection for a range of applications. 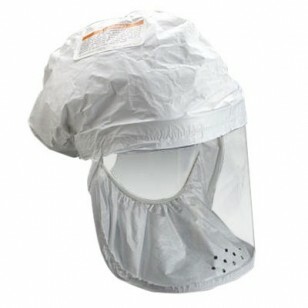 Used with 3M Air-Mate and Breathe Easy Powered Air Purifying Respirators (PAPR). This is a lightweight, durable hood that provides protection for a wide range of applications. R-Series headgear accommodates facial hair and personal glasses. Available in regular and large size, and choice of blue or white.